For over 2000 years now, goji berries have been highly prized in traditional Chinese medicine for its rich nutritional content. These berries were consumed to boost vitality and to help people living longer. If you want to infuse your foods with premium quality goji berries, the answer is none other than Zumub Goji Berries! Goji berries are regarded as a superfood due to its nutritional richness, making them a valuable addition to your health-oriented diet. In Zumub Goji Berries you will only find high quality goji berries without additives or preservatives. Its anti-inflammatory and antioxidant properties proven by studies is what makes these berries so well-known. Goji berries are loaded with antioxidants that protect against free radicals that cause oxidative stress, premature aging, and cellular damage and due to its anti-inflammatory properties, they can also help to fight inflammation. In China, Goji berries are usually added onto congee and soups, or used for making tea, juice, or wine. You may use Zumub Goji Berries for making different types of baked goods or boosting the nutritional value of your favorite shakes, juices, cereals, and porridge. Enjoy more vigor, health and vitality more vigor each day by harnessing the amazing powers of goji berries... try Zumub Goji berries today! 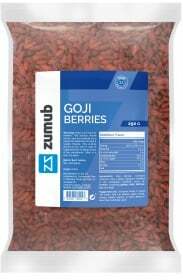 Have a question about Goji Berries? What is it, what does it do, how and when to use or something else? Ask us. 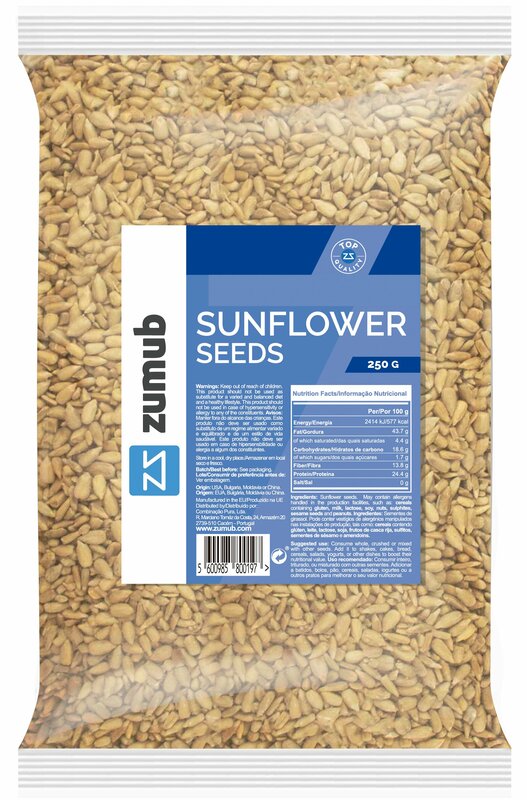 ALLERGEN INFORMATION: Contains sulphites,May contain allergens handled in the production facility: cereals containing gluten, soybeans, milk, lactose and nuts. Consume whole or mixed with seeds. Add it to shakes. cakes, bread, cereals, salads, yogurts or other dishes to boost their nutritional value. WARNINGS Goji Berries : Keep out of reach of children. This product should not be used as a substitute for a varied and balanced diet & healthy lifestyle. This product should not be used in case of hypersensitivity or allergy to any of its constituents. Store in a cool, dry place. BEST BEFORE: Please see lot number and expiration date stamped on the packaging.